My name is Regina and I am the coordinator for the Scrip program; an app based or physical gift card program for the school. This program was a great success at my daughter’s school in Oregon and I hope to share that success with Providence. The program is cash or check based and there are a number of payment options. 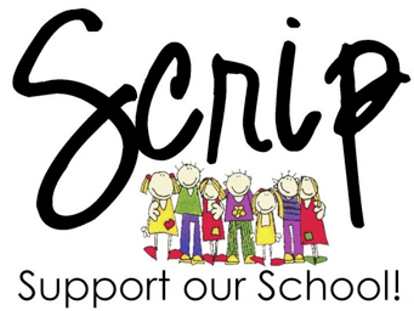 The Scrip program is an easy way to help out the school which does not cost you any money other than what you already spend in your monthly budget. It is structured in a mobile format or a gift card format. This is how Scrip works: you purchase an electronic or physical gift card for a store or restaurant you like to go to and the school and Scrip will give a certain percentage back to the school at a negotiated rate somewhere between 2% - 14%. So, if you buy a $100 gift certificate from Macy’s or Zappo’s, you pay $100 and the school will get around $10 of that money. There are hundreds of well-known stores and restaurants to choose from with many ways to purchase. Some physical cards, once purchased, can have funds added to them. Others can be entirely electronic. The mobile app makes it super easy to give to the school when you go out to eat, shop at Target or grab a coffee at Starbucks. You can also help the school when you do large purchases like vacations or major home repair by getting cruises, airline tickets, home depot gift cards. It takes a bit of effort to get into the habit of it but once you do, it is a great way to give back to the school without spending any more than you normally do. With the colder weather and late sunrises, I no longer site outside at the Friendship Circle on Fridays but am trying to make school events. I am also always available via phone or email. Please call or email me with any questions. I am happy to arrange a time to meet with you or have a chat over the phone. View our current card inventory. For every $10 Bath & Body Works card you buy, you get $10 to spend at Bath & Body Works and Providence gets $1.30 (rebates vary).